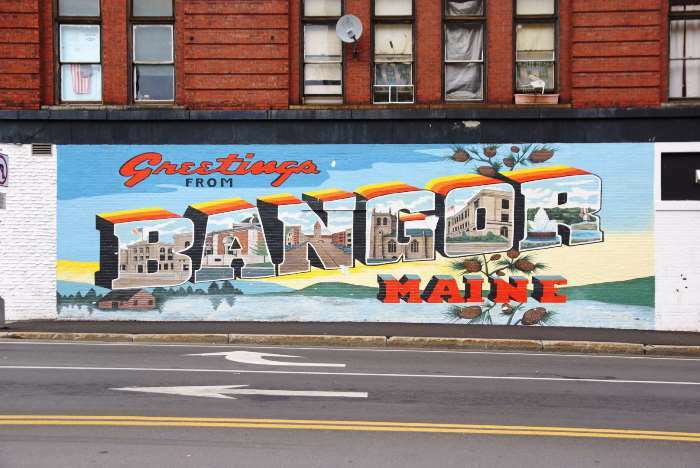 There’s only one problem with Bangor, Maine: it’s so far north. 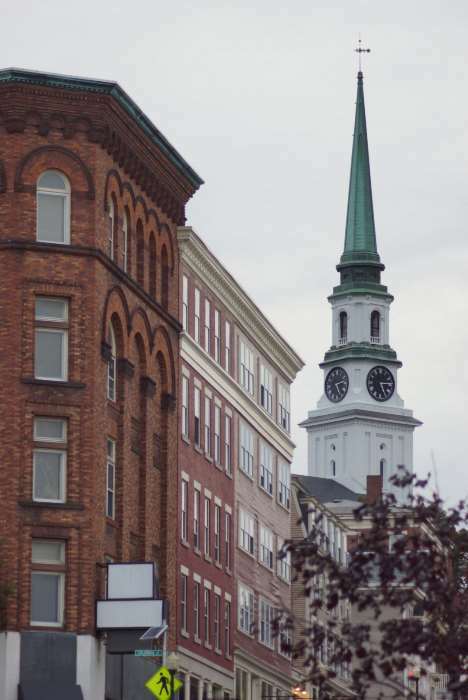 This is a perfectly nice city, with narrow, winding downtown streets lined with historic brick buildings and businesses that are still in business. It’s a pleasure to visit and explore, but it’s so far away from New England’s more crowded corners that it could easily be missed. Hopefully, you’ll find an excuse to see it for yourself. 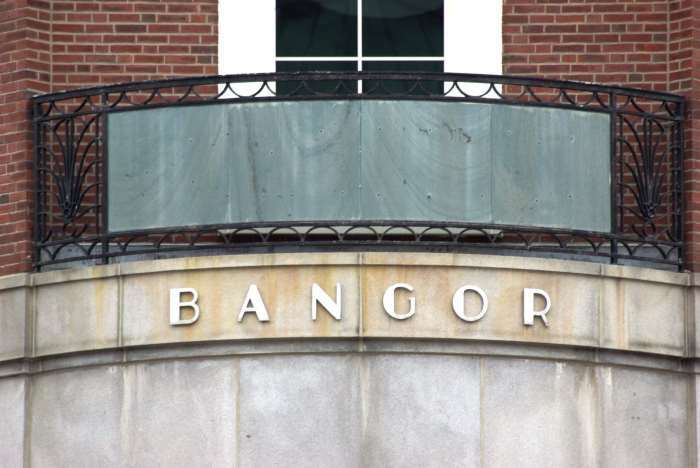 Bangor is located 129 miles north of Portland, via Interstate 95. It’s another 12o miles to the Canadian border and the end of I-95. It’s the last big city as you head north, unless you cross over into Canada. I was on the 10th day of my vacation, and my time in the northeast was quickly wrapping up. I had to be back in Portland for a 6 a.m. flight the next morning, and I had already spent half of my day in New Brunswick. So, by the time I arrived in Bangor, I only had a few hours until dark. Still, this was my first time in the city, and I wanted to get a feel for it. I found a parking spot downtown, and started exploring. 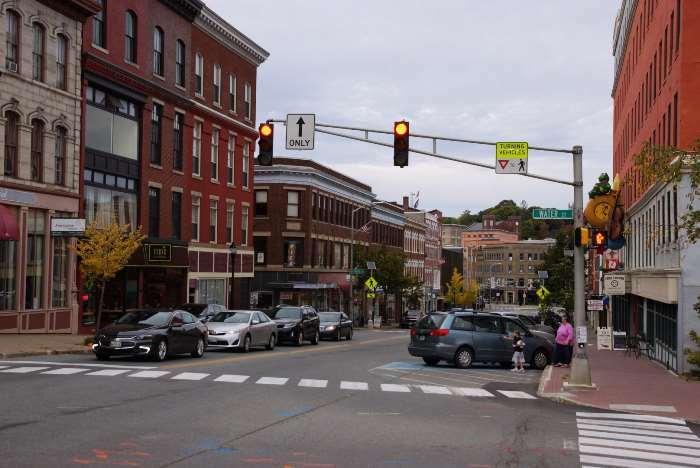 Bangor has a Main Street, but it also has a Center Street and a Central Street, and several other “main” streets (like Hammond, Harlow, and State) which tangle together in a slightly confusing jumble, in the middle of the business district. It’s best to get out of your car and wander around, and not worry about what street you’re on. 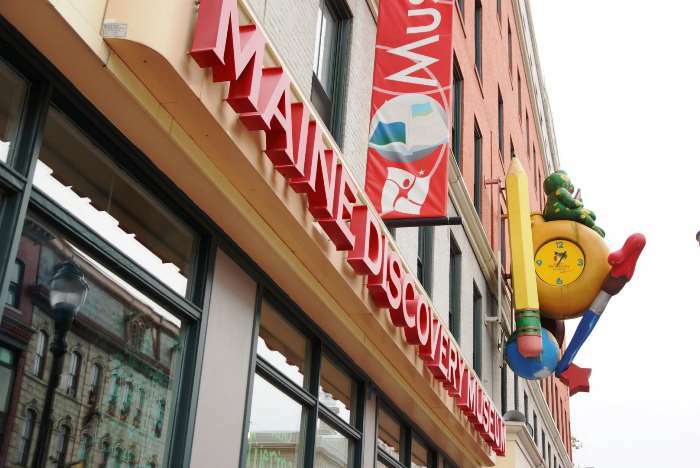 … and some notable recent additions, like the Maine Discovery Museum — the largest children’s museum north of Boston. 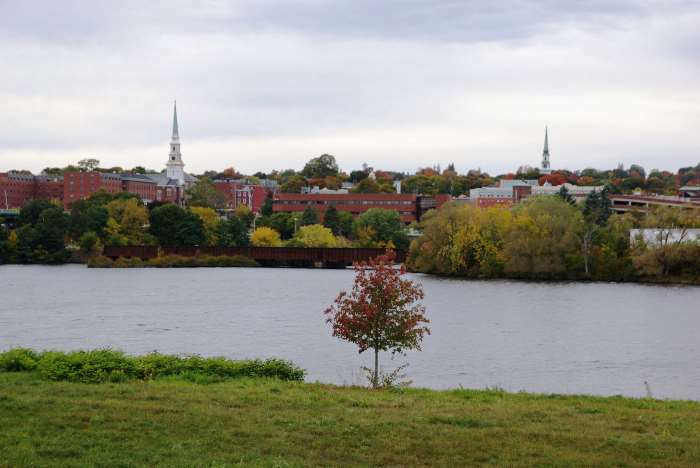 For a while, I was unknowingly on the River City Trail, part of a longer path that connects the Penobscot River waterfront with the Kenduskeag Stream Trail. The Kenduskeag Stream is a tributary of the Penobscot, and you’ll see several small bridges that cross it. 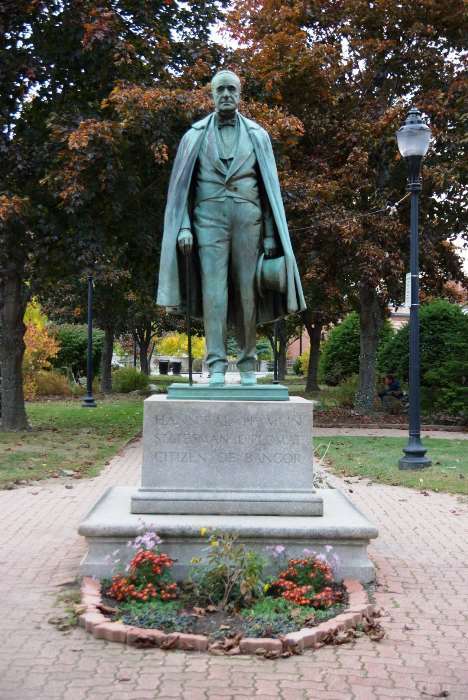 Running down the middle of the Kenduskeag Stream, you’ll find the Norumbega Parkway — a narrow park with some old cannons on display, and a few statues — including this one, depicting Hannibal Hamlin, the 15th Vice-President of the United States. … and who can resist taking a picture with the “Greetings from Bangor” postcard mural. 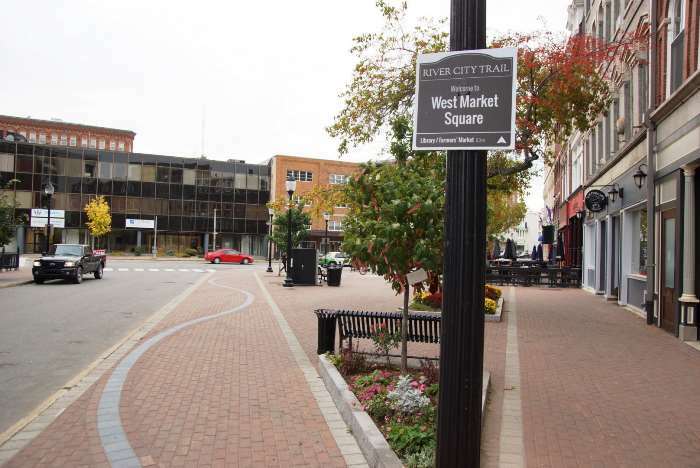 You’ll find it at the corner of Union and Main Streets (slightly uphill from most of downtown). The Hammond Street Congregational Church is just a couple of blocks away from the mural. 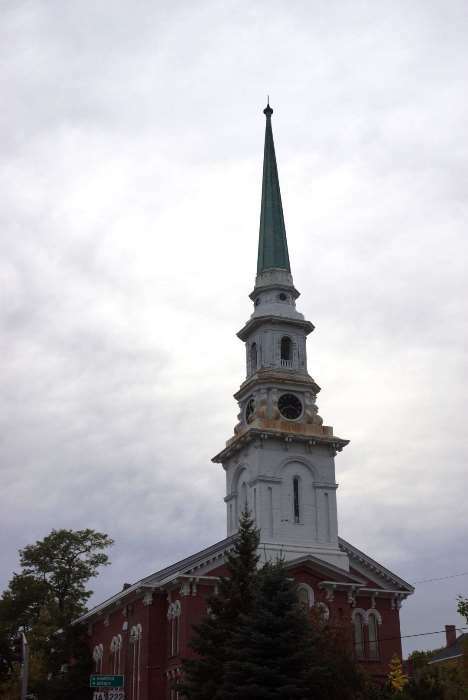 Another steeple is also nearby — but this church clearly needs some work. When you cross the Penobscot River, you’ll enter Brewer, Maine. You’ll also find some nice places to look back on the steeples poking up from the city skyline. Bangor probably deserves more time than I was able to give it. It’s a beautiful city with a friendly downtown, that’s quite rewarding to explore on-foot. Sure, it’s pretty far north, but it’s worth the effort to get there.